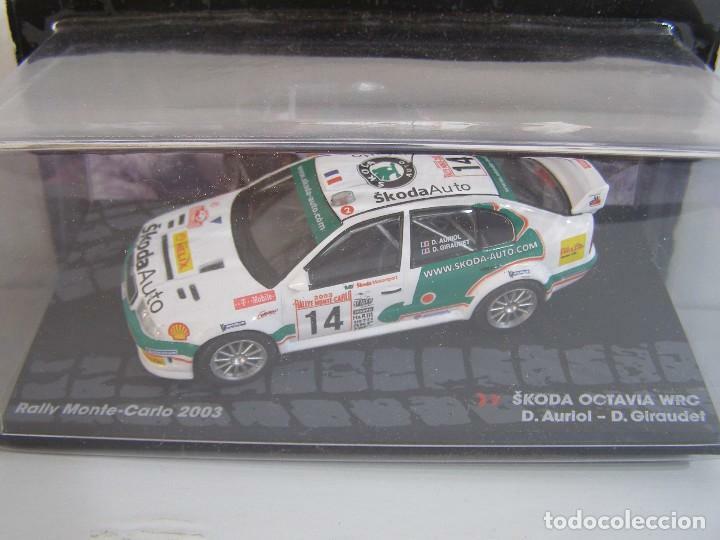 COCHE A ESCALA 1/43, DE LA COLECCION RALLY DE ITALIA EAGLE MOSS ALTAYA, MODELO SKODA OCTAVIA WRC DE 2003. SIMCA 1000 RALLY 2, RALLY MONTECARLO 73, COLECCION RALLY DE ITALIA, EAGLE MOSS ALTAYA 1/43. 1/43 FORD FIESTA RS WRC DE P. SOLBERG, NUEVA COLECCION RALLY MONTECARLO ITALIA, EAGLE MOSS ALTAYA. Hora oficial TC: 01:06:55 TR: 127 ms.